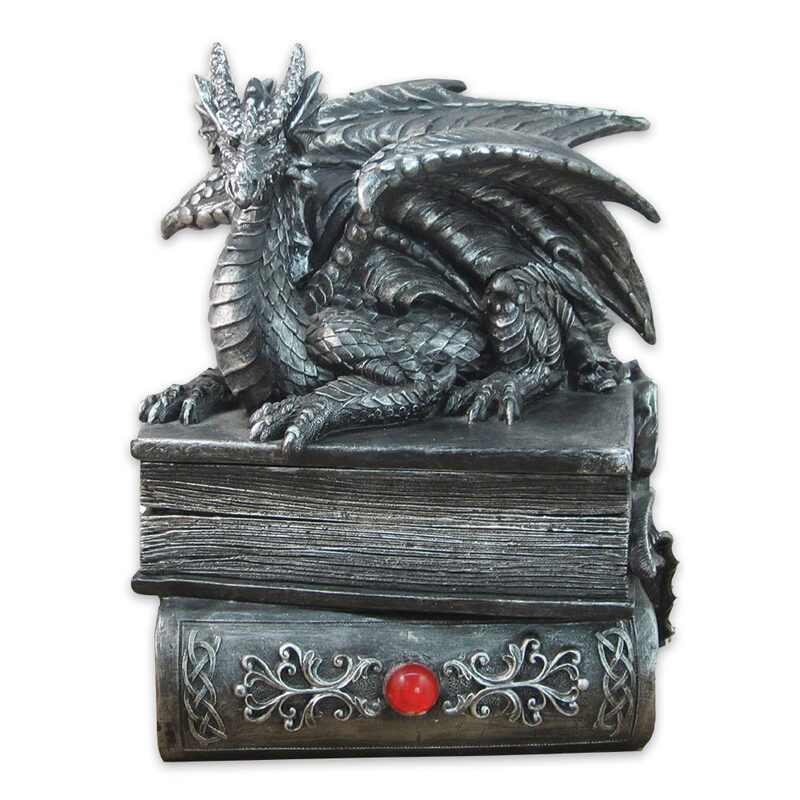 Guardian Of Bibliophiles Dragon Stash Box | BUDK.com - Knives & Swords At The Lowest Prices! This dragon guards more than books. It also guards the contents of a secret compartment, which is revealed by lifting the dragon. Handcrafted of cold cast resin, the beautiful sculpted box also bears a faux ruby accent. This dragon box is the perfect center piece with its realistic look and intricate detail.